Give designers control. Build better UIs. 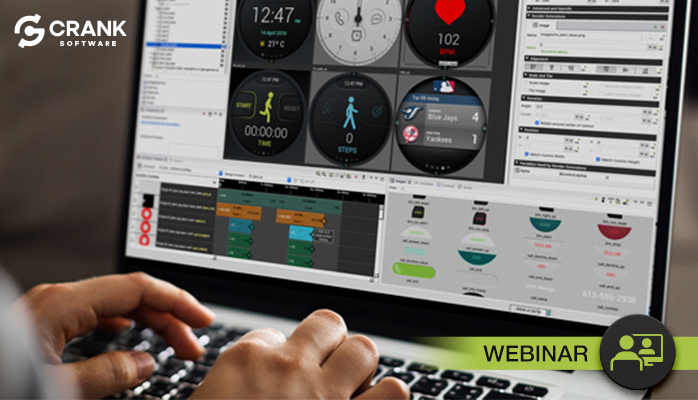 In this webinar we discuss the benefits of integrating the designer in the embedded development cycle, and demonstrate features in Crank Storyboard. UI designers sweat the details that are often overlooked by others. Details such as graphics, color, fonts, animations, and interactions are integral to ensuring an intuitive embedded application and successful user experience. So why leave the designer behind once development begins? Keeping the designer engaged and giving them the tools they need to stay involved in an iterative development lifecycle ensures a better UI in less time. Join Crank Software as we discuss the benefits of integrating the designer in the embedded development cycle, and demonstrate features in Storyboard—our graphical user interface development software—that support the needs of the entire team.